The Brighton Chimney Sweep offers a complete chimney service and takes great pride in the ability to provide a quality service at a competitive price. We have a £5,000,000 insurance policy and always work to a strict code of practice, ensuring no mess or damage. 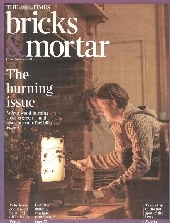 Issue a certificate on completion of every chimney swept, which is needed for insurance purposes or if selling or letting the property. 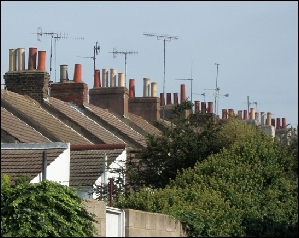 The Brighton Chimney Sweep was established in 1949, the company has an exemplary track record serving the people of Brighton, Hove, Lewes, Burgess Hill, Haywards Heath, Worthing and the surrounding Sussex areas. The job of the Chimney Sweep is to aid in the prevention of chimney fires and reduce the risk of dangerous fume emissions from blocked heating appliances. We also provide a service which includes Smoke and pressure testing, fitting Birdguards/cowlings and installation of wood burners and fireplaces. Working to a strict code of practice, issuing a certificate on completion of every chimney swept ,you can be assured our service is of the highest quality. The Sweeping of your chimney is to aid the prevention of chimney fires and reduce the risk of dangerous fume emissions from blocked heating appliances from entering the property. Clean chimneys are safer and help the environment by assisting the complete combustion of the fuel, which in turn reduces emissions into the atmosphere. 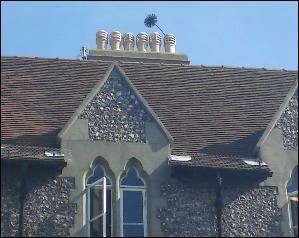 The Brighton Chimney Sweep is the authorised stockist of Burley wood burning stoves for Brighton and Sussex, we can supply and fit in all homes in the area.